Use the G-Force Calculator below to calculate the G-Forces exerted on samples in a centrifuge. You should always set your centrifuge to the correct G-Force, as recommended by your centrifuge manufacturer. You can calculate G-Forces using either inches or centimeters for the radius of the centrifuge. The Force exerted on a sample in a centrifuge is a function of the rotation speed of the centrifuge (RPM) and the radius of the rotor. The Rotor Radius is the radius of the rotation measured in centimeters or inches. For example, in the photograph below – The Rotor Radius is 12.7 cm. The Radius can be measured at the top of the specimen as the Minimum Radius, the middle of the specimen as the Average Radius, or at the bottom of the specimen as the Maximum Radius. 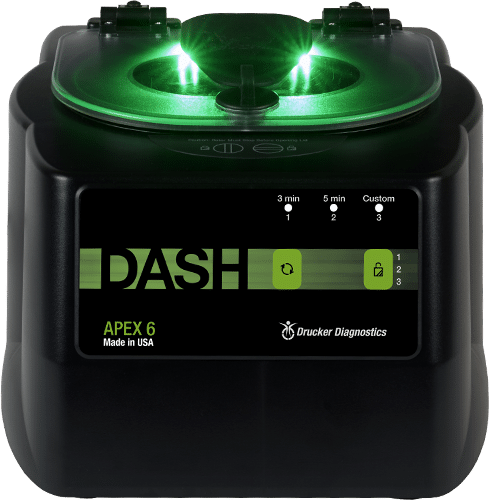 Drucker Diagnostics recommends using the Maximum Radius in most applications since this is the industry standard for calculating G-Force. 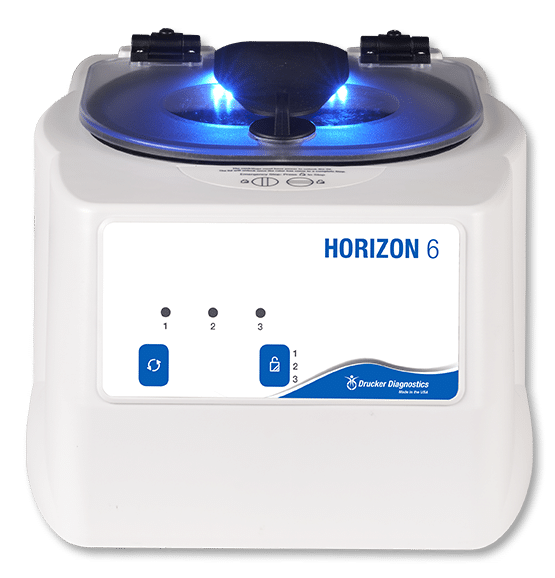 RPM stands for “revolutions per minute.” This is how centrifuge manufacturers will communicate and display how fast your samples are rotating around the axis of the rotor. However, even at the same RPM, the centrifugal force applied to your samples can vary as a function of the Radius of the rotor. So, even when spinning at the same RPM, a larger Radius will produce larger forces just as a smaller Radius will produce smaller forces. For example, when revolving at 3,500 RPM, a large rotor with a radius of 15 cm will produce a maximum G-Force of 2,058 xg, while a small rotor with a radius of 5 cm will produce a maximum G-Force of 686 xg. 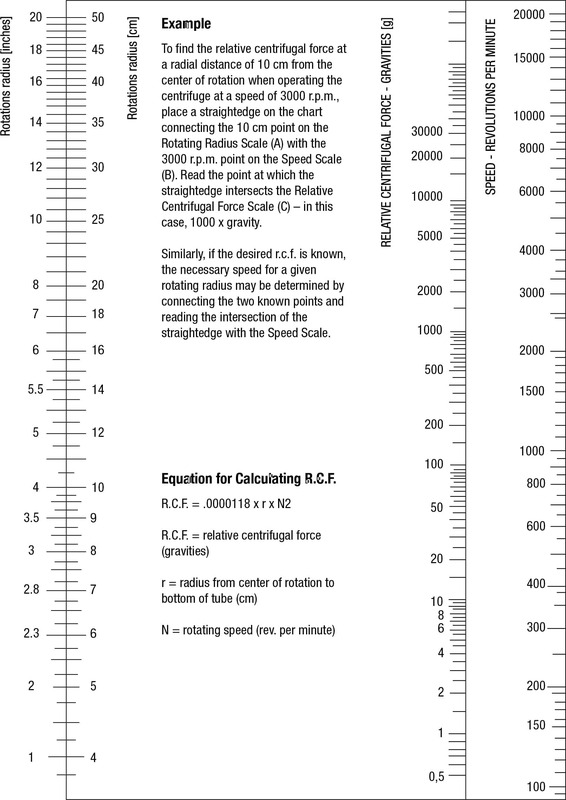 If you prefer to use a Nomograph to calculate your RPM or G-Force, one is provided below. Once you know what G-Force you need to spin your samples at, you can measure the radius of your centrifuge rotor and calculate the RPM using the equations provided above or by using the Nomograph found below. You may also use the equations provided above if you prefer to use the equations to the Nomograph. In summary, you should always set your centrifuge to the correct G-Force, not by an assumed RPM. Most clinical tube manufacturers will provide Instructions for Use that specifies the recommended G-Force for their tubes. For your convenience, you can find the I.F.U. for the most common brands here. Some centrifuges will use a display to present RPM and G-Force. In this case, you can easily set the centrifuge by G-Force without doing the calculations. 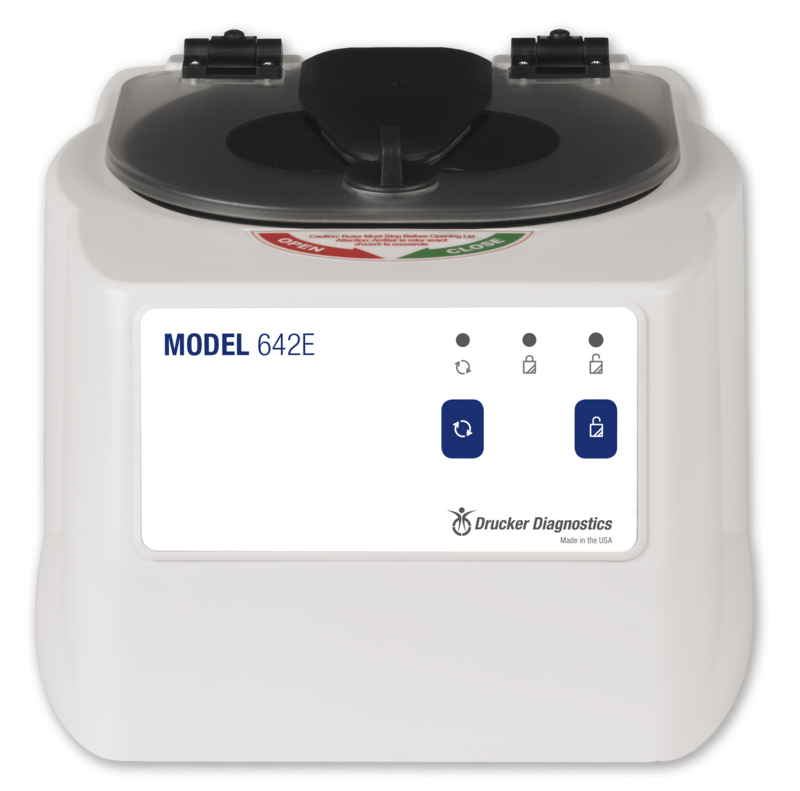 If you are using a centrifuge that does not display G-Force and you are executing a protocol with one or more G-Force requirements, you will need to calculate the RPM that achieves the required G-Forces and set the centrifuge by the RPM display.